Since the Monaco F1 track runs through an entire city, the best way to break down some of the most famous sites you will see around the track is to highlight a few of the turns. 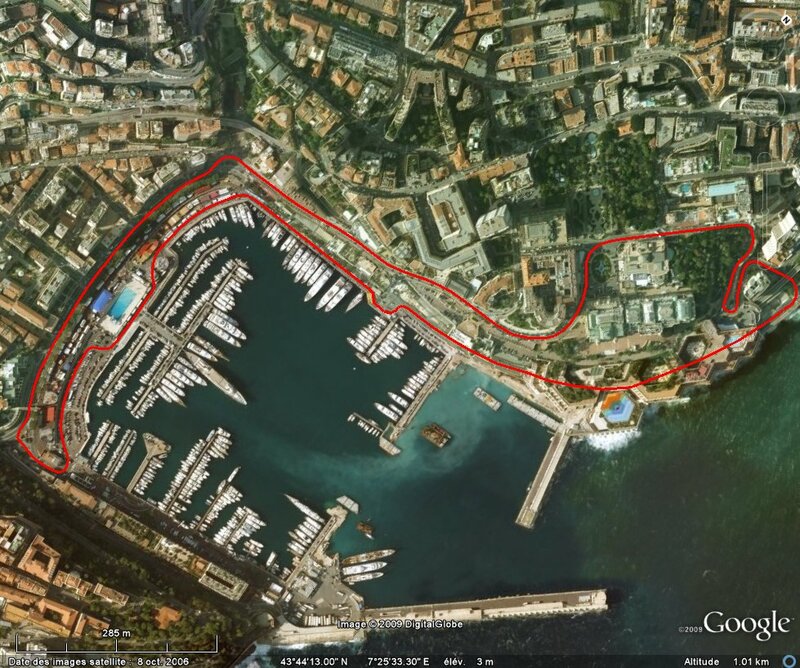 The Monaco F1 Track as seen on GoogleMaps. At turn one, there is a small chapel built in honor of Saint Devota. Unfortunately for TV viewers, this site doesn’t usually get camera time due to the way the course is barricaded. Grand Prix travelers can, however, get a great view. 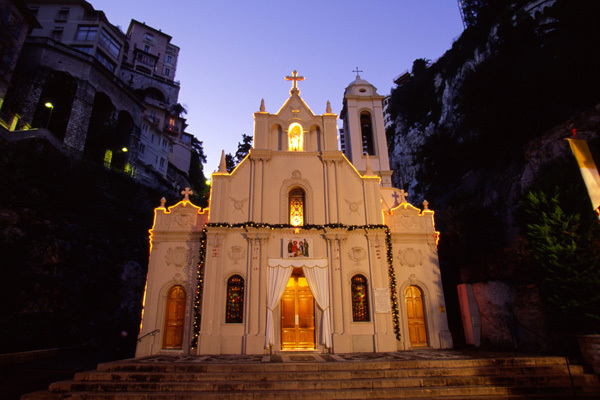 Eglise Sainte-Devote in Monaco. Source. 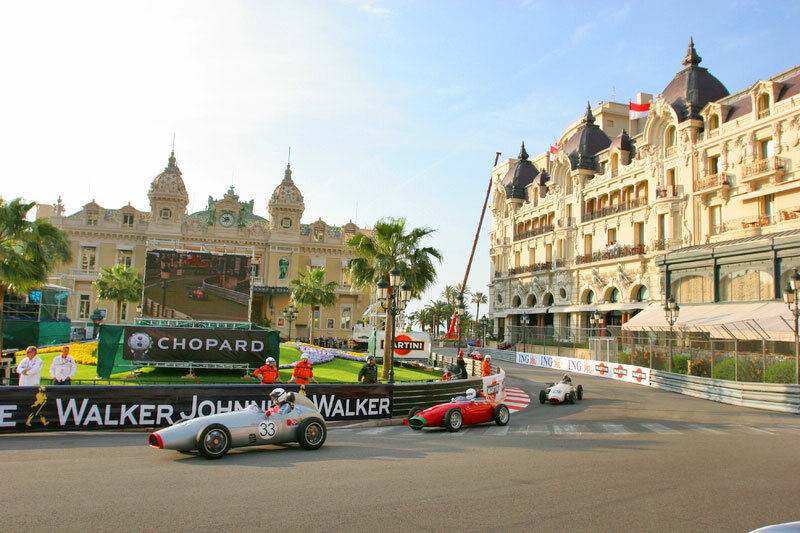 The third turn of the Monaco Grand Prix track goes right by the Monaco Opera House. The main hall of this Opera House is called the Salle Garnier, and though relatively small compared to some of Europe’s most famous opera houses, is incredibly ornate and much more intimate. 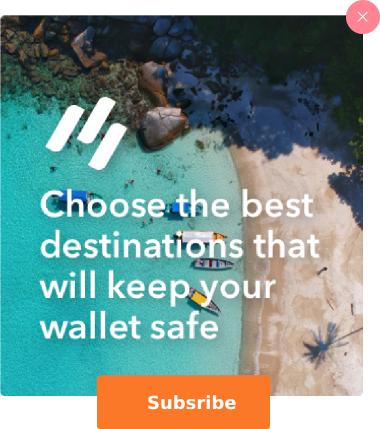 Plus, it faces the sea. Opera House de Monte Carlo. Source. 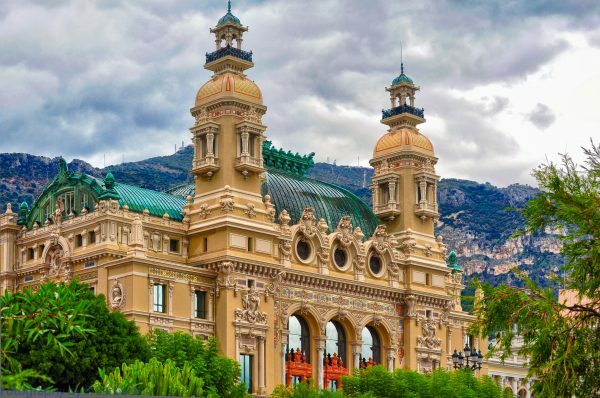 The fourth turn of the Circuit de Monaco features the Monte Carlo Casino, which is one of the most famous buildings in Monaco and the hub for the city’s tourism. The race whizzes right by the casino’s famous gardens. A fun thing to know about this site is that citizens of Monaco are not permitted to gamble in this casino, but tourists are free to do so. The casino is a favorite spot to watch the race from. The Monaco Grand Prix track runs right by the Casino. Source. The Monaco Grand Prix track is incredibly unique for an F1 circuit. For one thing, it features tighter turns and quicker elevation changes than any other track. Secondly, the trickiness of the circuit means that the average speed of the race is much slower than any other F1 event. Since completing the track takes longer at a slower speed, this is the only Grand Prix that does not meet he FIA minimum of a 305 km (190 mile), measuring instead at 260 km (162 miles). 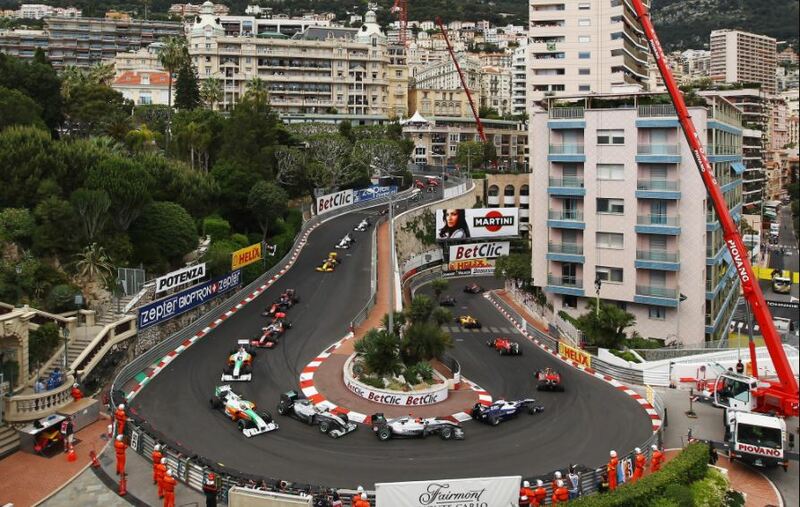 Additionally, you will find that the Circuit de Monaco is one of the more dangerous courses you will witness and you will frequently see the need for a safety car throughout. While there are several contributing factors to the dangerous nature of the track, the tight turns are the main cause. But as automotive and safety technology has improved since the inception of the event, the race has become considerably less fatal over the years. The last fatality in the Monaco Grand Prix was in 1962, when Italian driver Lorenzo Bandini died from burns that resulted from crashing his vehicle. 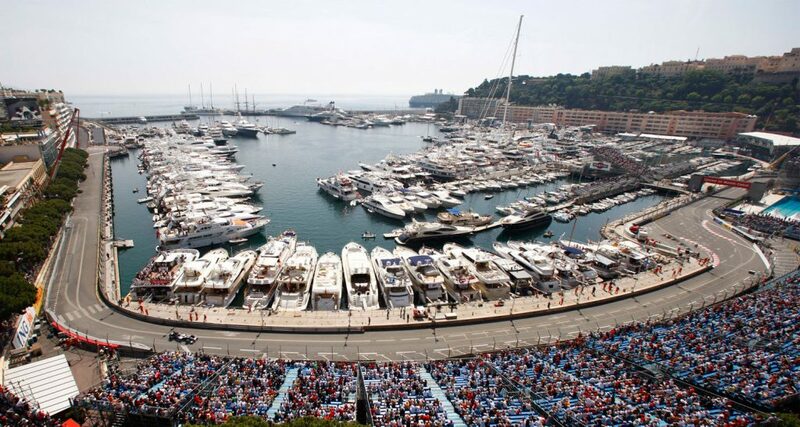 Where Do Spectators Watch the Monaco Grand Prix? 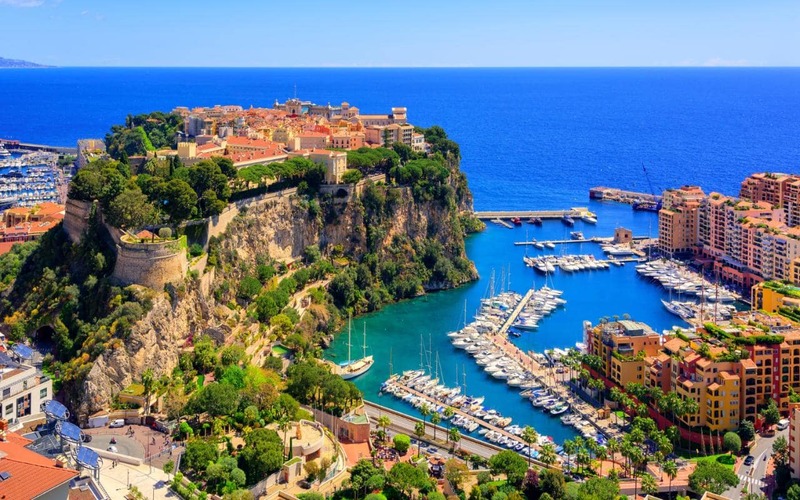 Since the race takes place throughout the whole city of Monaco, there are a lot of great areas to watch this race that range from private residences, to swanky venues, to the designated bleachers. Typically, there are plenty of grandstands built to accommodate spectators and many of them are in the harbor area where you have amazing people watching as the rich and famous from all over the world park their yachts. 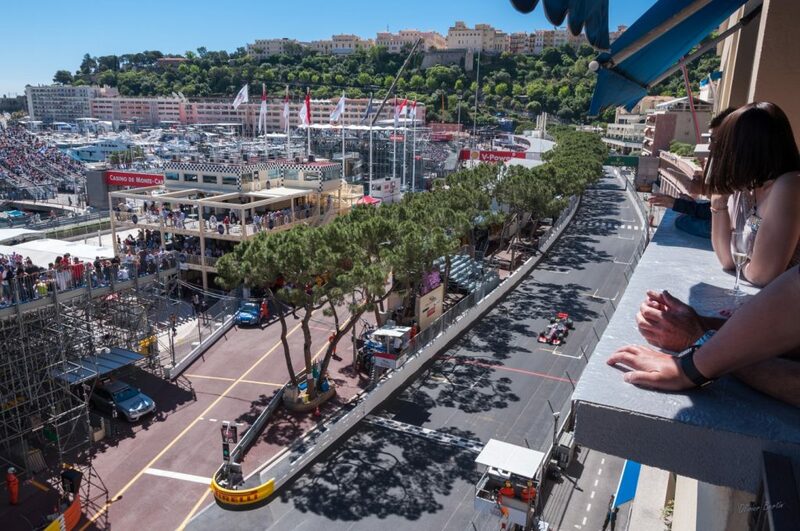 Many hotels have strategically built their room balconies to look over the Monaco F1 track, which is a great way to watch in a relaxed and private setting. 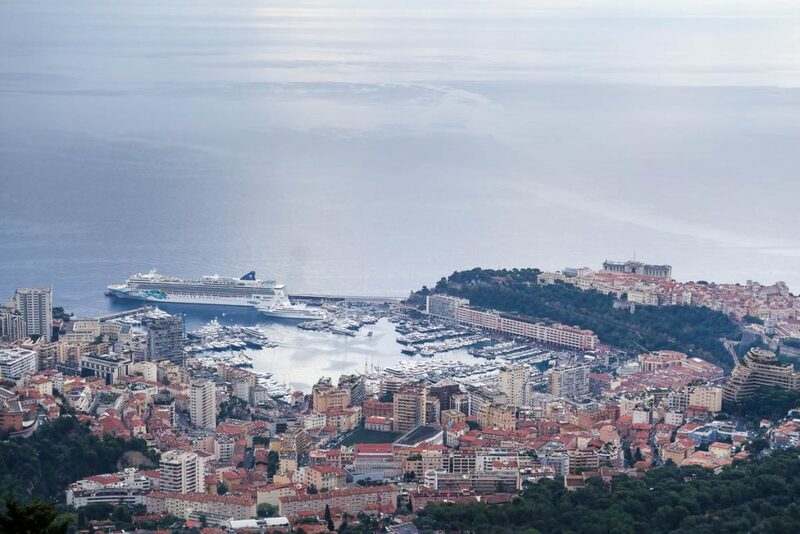 In general, the best view of the race was voted to be the Ermanno Palace Penthouse in Monaco. Balcony views from a private residence. Source. Each race on the Circuit de Monaco consists of 78 laps and the fastest speed ever on the track was in 2007 when it was won with an average speed of 96.654 MPH. The slowest winning speed ever recorded on the Monaco F1 track was just 61.329 MPH and that came at the very first race in 1950. Overall, the average speed that you will see on any given race is around 80 to 90 MPH and you can expect a race to last somewhere in the three-hour range. View of the Harbor. Source. There are a lot of records that have been set over the course of the race. 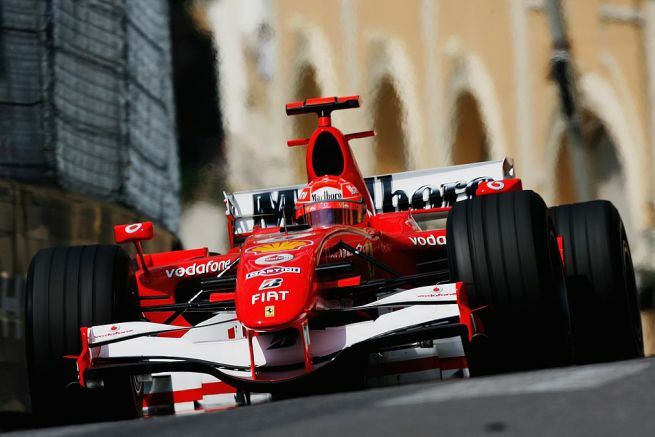 The fastest lap time for the Monaco Grand Prix track was set in 2004 by German racer Michael Schumacher, who finished with a time of 1:14.439. The driver who has the most Monaco wins under his belt is Brazilian Ayrton Senna, who has won the race a record six times. If you’re placing bets based on the model of the car, you should know that McLaren has carried the most winners across the finish line with 15 to date. However, Mercedes has won the last four straight races and is looking for a fifth straight win. Michael Schumacher of Germany, racing for Ferarri. Source. Don’t let the slower speeds fool you. The Monaco Grand Prix is every bit as exciting as it is glamorous. Are you ready to live it up at one of the world’s most prestigious and luxurious international sporting events? 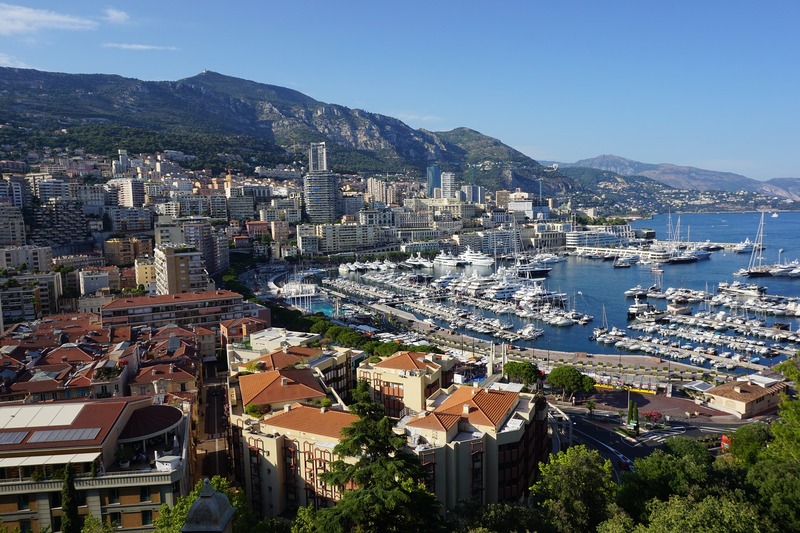 Start planning your Bucket List trip to the Monaco Grand Prix today.